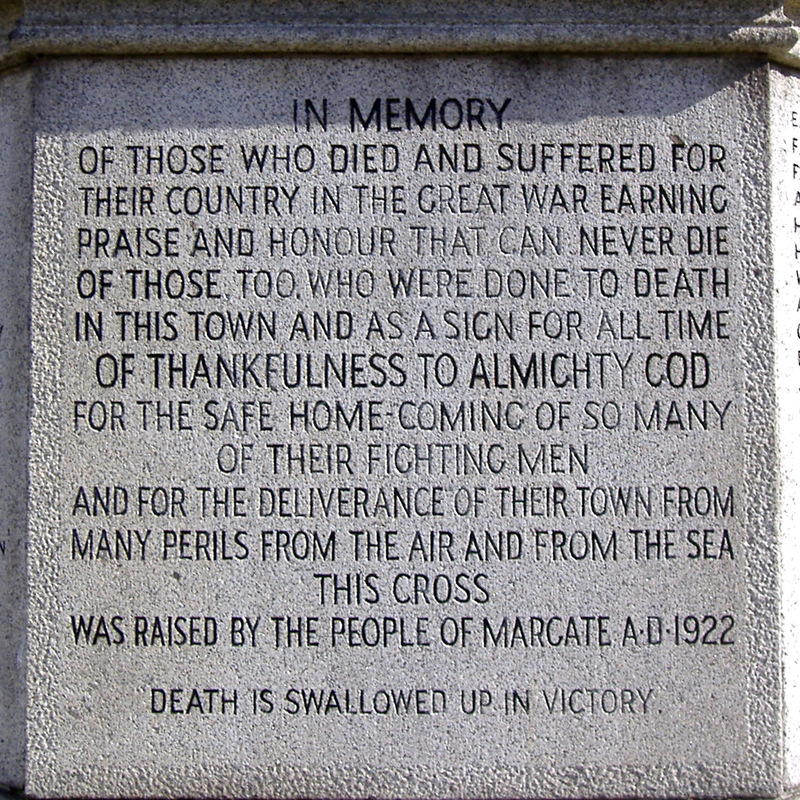 There are 696 names inscribed on the Margate War Memorial, which is situated at Trinity Hill. 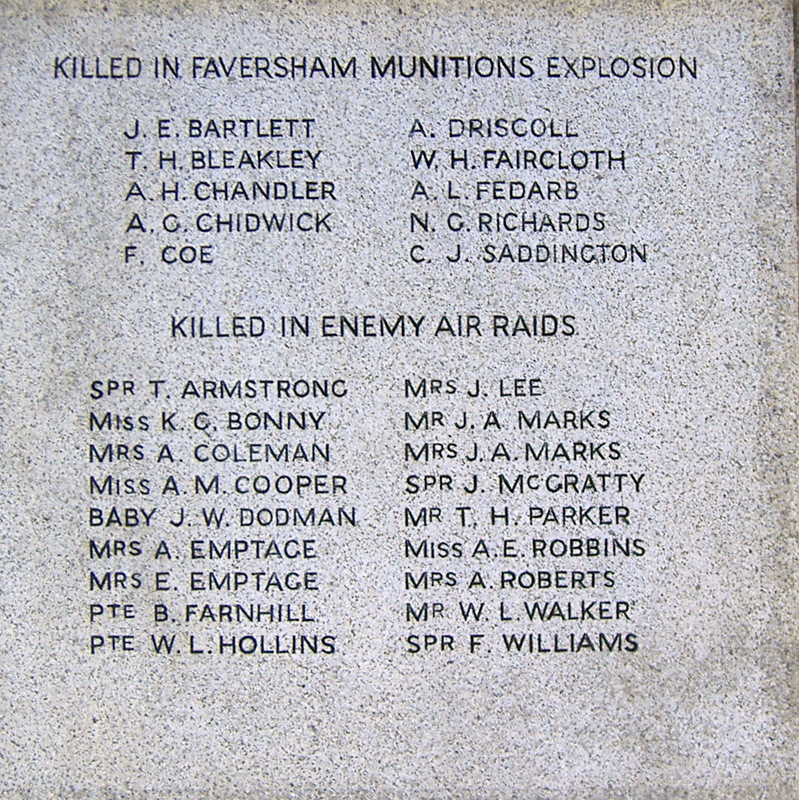 2 servicemen killed in conflicts since WWII. 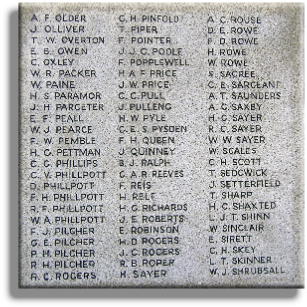 The particulars of the names are included in ten files, which are in Acrobat PDF format, and which may be downloaded by clicking on the appropriate link below. 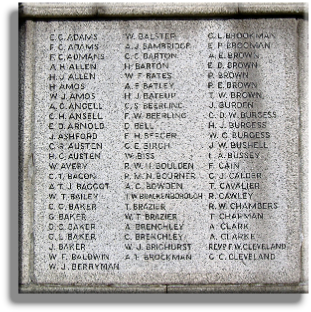 An alphabetical list of names of servicemen who lost their lives in World War I, whose names are inscribed on the Margate War Memorial. 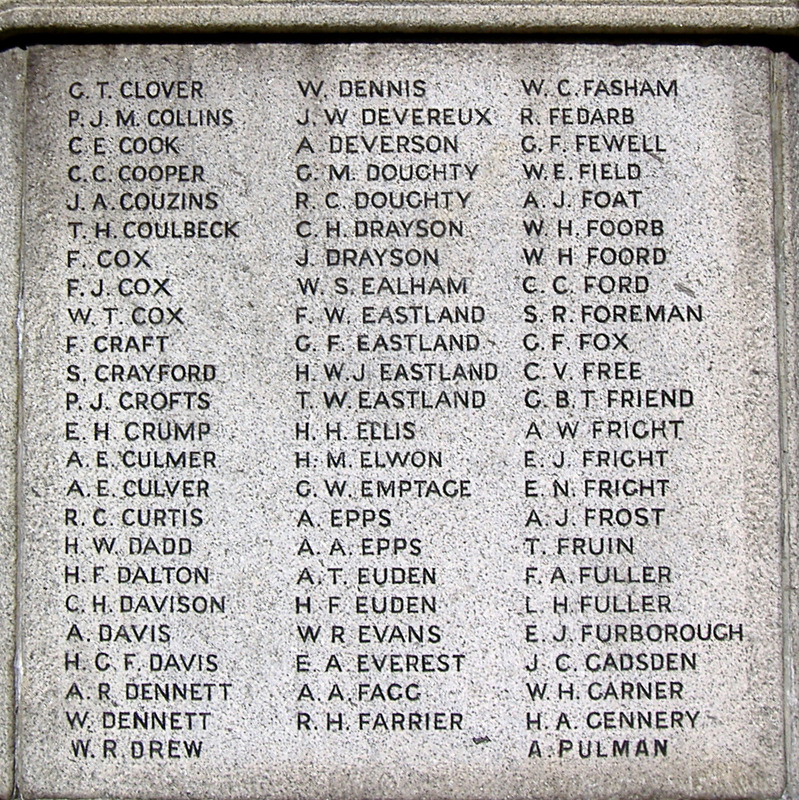 A list of servicemen who lost their lives in WWI, whose names are inscribed on the Margate War Memorial, in chronological order within service. 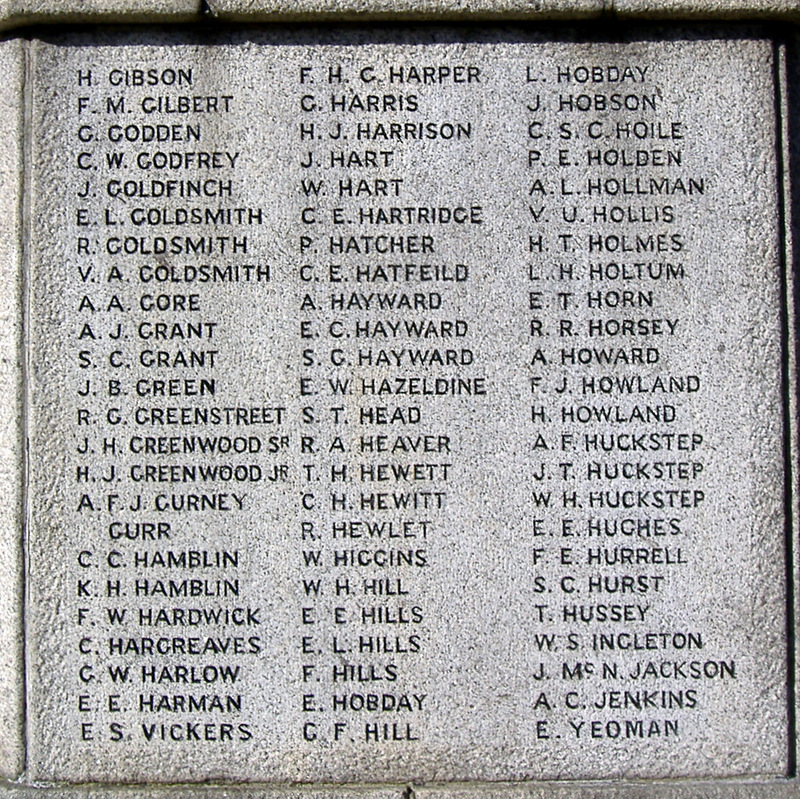 A list of those killed in enemy air-raids on Margate in WWI, whose names are inscribed on the Margate War Memorial, shown in chronological order. 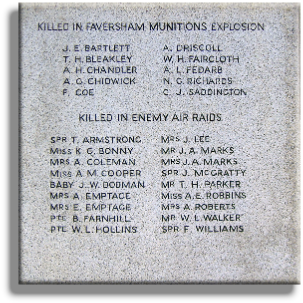 An alphabetical list of names of workers killed in the Faversham munitions explosion in April 1916, whose names are inscribed on Margate War Memorial. 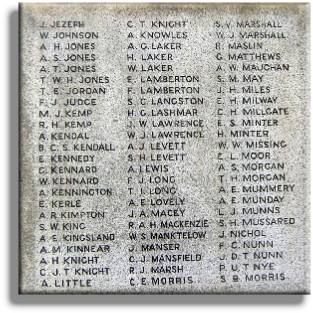 An alphabetical list of names of servicemen who lost their lives in World War II, whose names are inscribed on the Margate War Memorial. 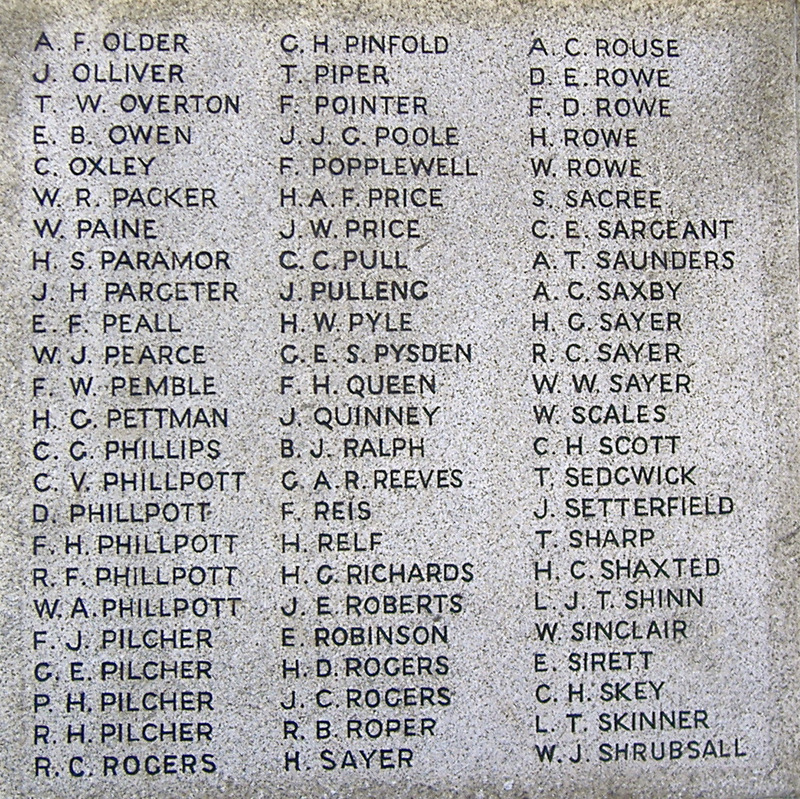 A list of servicemen who lost their lives in WWII, whose names are inscribed on the Margate War Memorial, in chronological order within service. 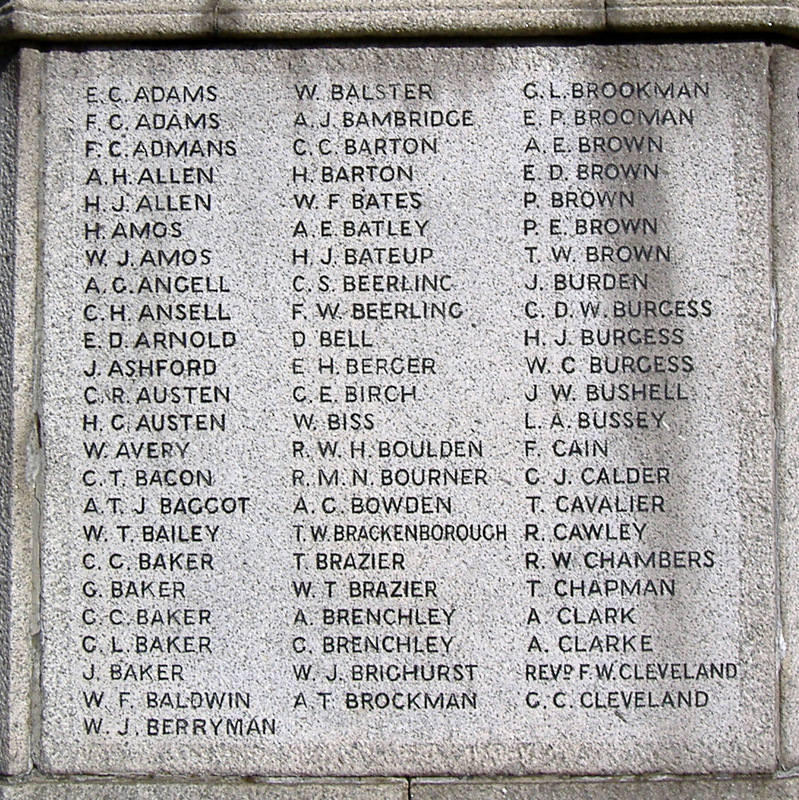 An alphabetical list of names of civilians, including those from Birchington, killed in WWII, whose names are inscribed on Margate War Memorial. 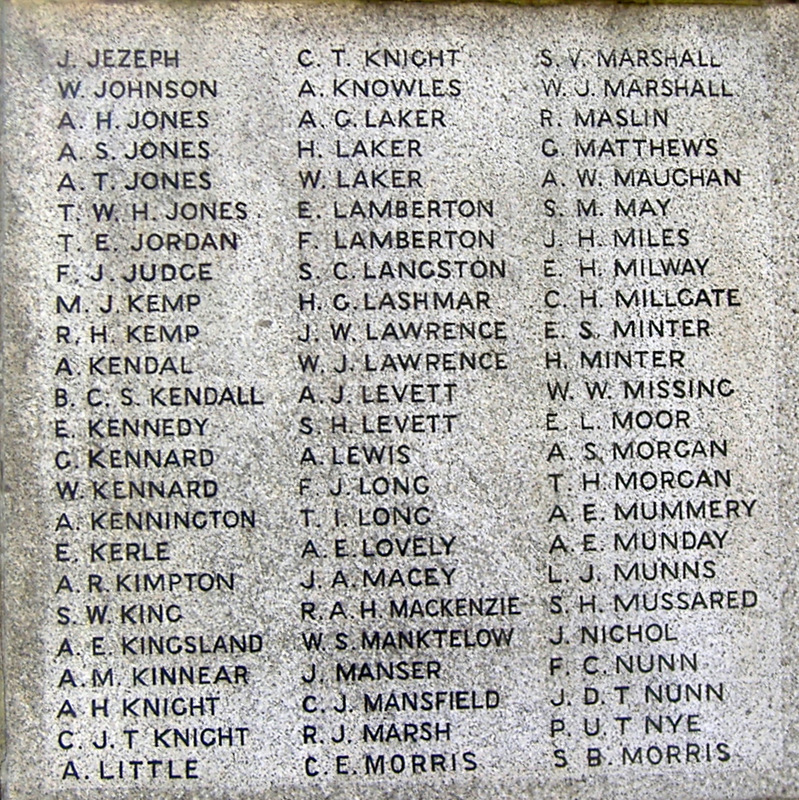 A list of civilians, including those from Birchington, killed in WWII, whose names are inscribed on the Margate War Memorial, shown in chronological order. 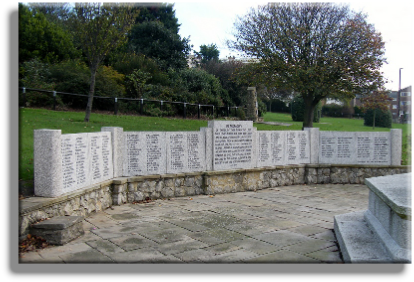 A list of names of servicemen who lost their lives in conflicts since World War II, whose names are inscribed on the Margate War Memorial. 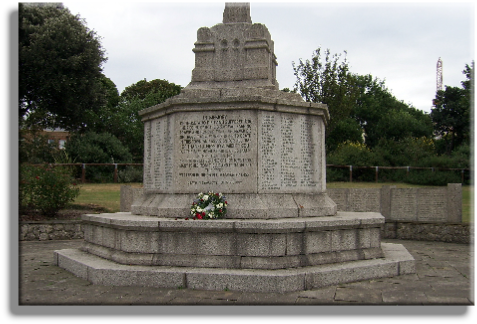 This memorial was unveiled by Lord Harris on Sunday, 5th November 1922. 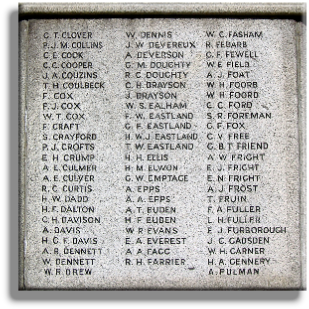 The cross is made of granite and has 457 WWI names inscribed upon it: 429 servicemen; 18 killed in enemy air-raids; and ten munitions workers who lost their lives in the Faversham Munitions Explosion on 2nd April 1916. 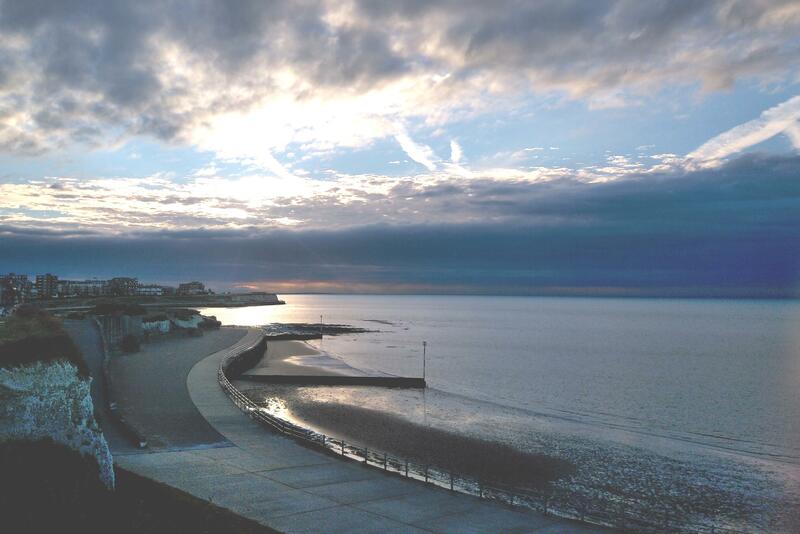 On 10th August 2010, the memorial was granted Grade II listed building status. 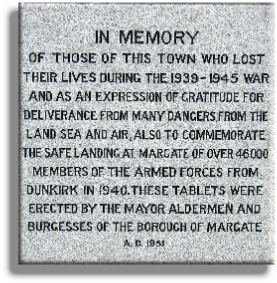 The WWII tablets were unveiled on Sunday, 27th April 1952 by the Mayor of Margate (Councillor Mrs Beatrice Giles). 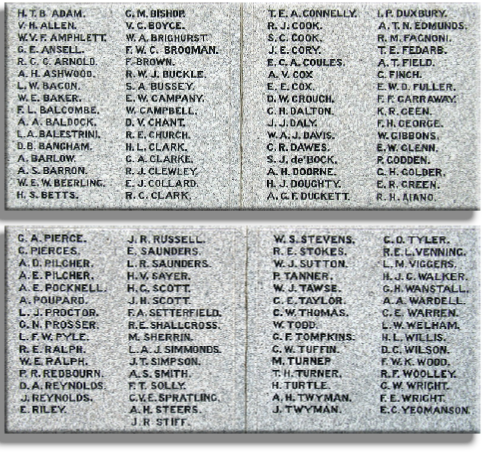 There are 237 names inscribed on the tablets: 188 servicemen and 49 civilians. 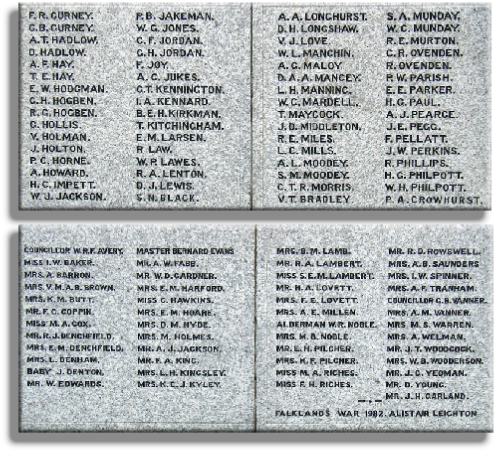 In addition to the WWI and WWII names, there are also the names of one serviceman (Alistair Leighton) who lost his life in the Falklands War of 1982 and one serviceman (Neil Clark) who lost his life in Northern Ireland in 1984. 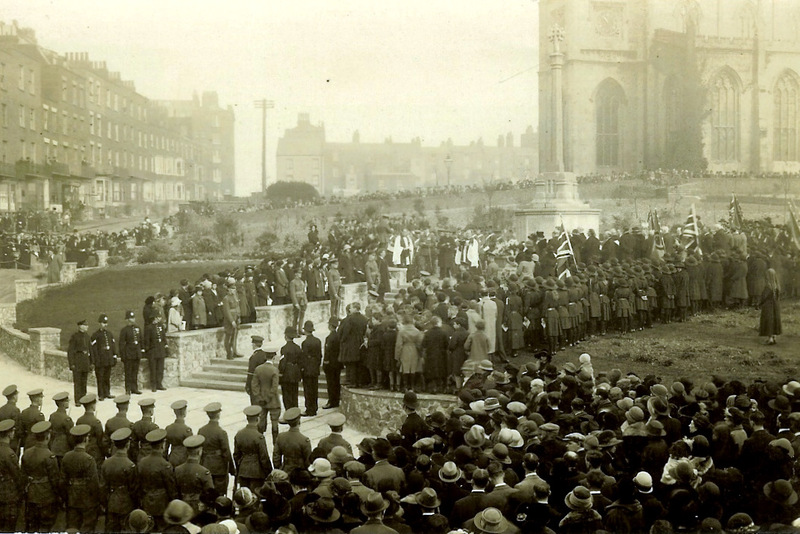 This photograph shows a Remembrance Day service held at Margate War Memorial during the inter-war years. 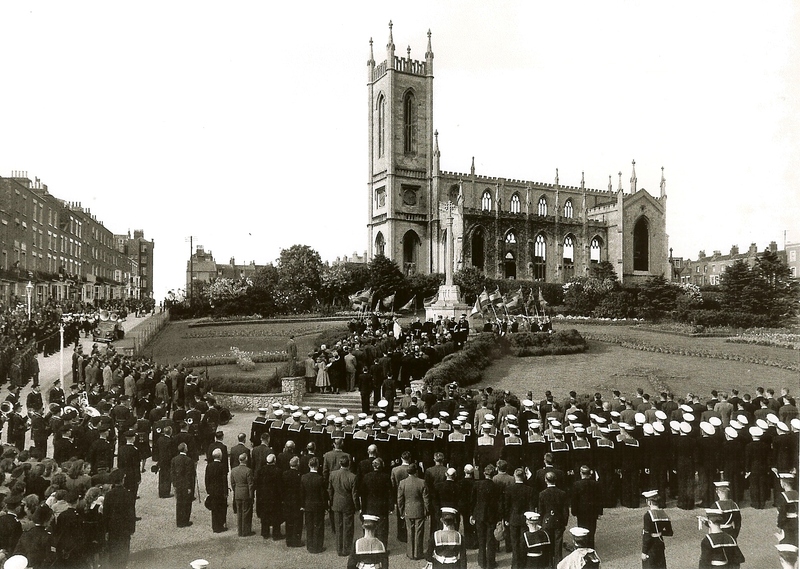 This superb picture by Sunbeam Photographs shows the service held in June 1950 at Margate War Memorial to mark the tenth anniversary of Operation Dynamo (the evacuation from Dunkirk). 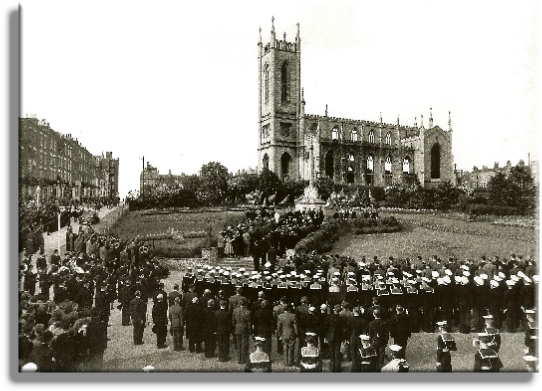 Note the imposing Holy Trinity Church which provided such a magnificent backcloth to the Memorial. 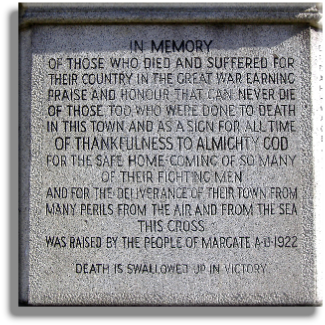 A selection of historical Margate memorial pictures follows after the description of Margate War Memorial below. 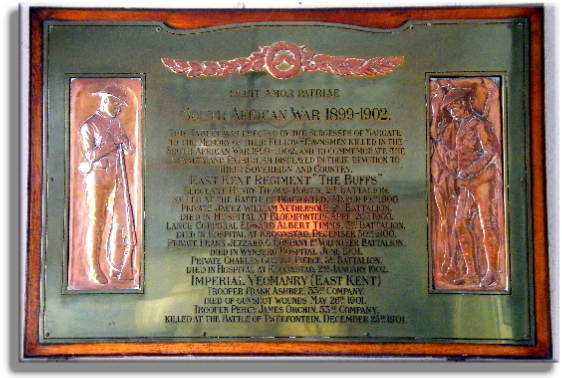 The Margate War Shrine - now in Margate Museum. 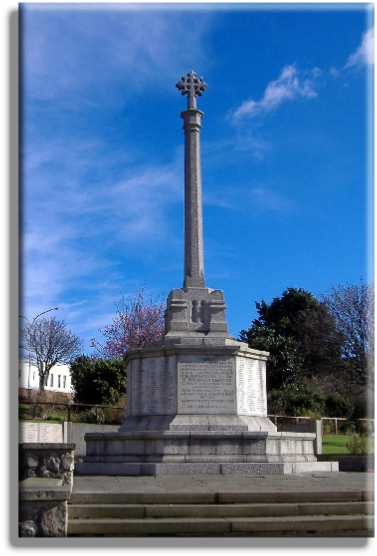 The Margate War Shrine was unveiled on 26th April 1917 by the Mayoress, Mrs W Booth Reeve. 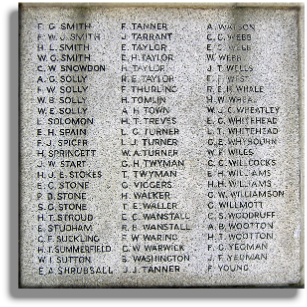 Originally the War Shrine comprised three panels but, as the list of names to be added to the Roll of Honour grew, a fourth panel was added and the design changed to incorporate that additional panel. 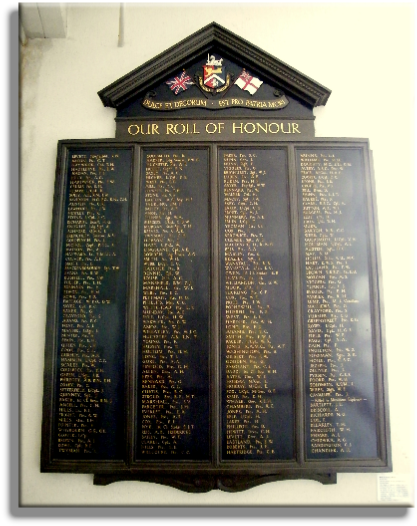 These two Roll of Honour boards were originally erected outside the Town Hall. 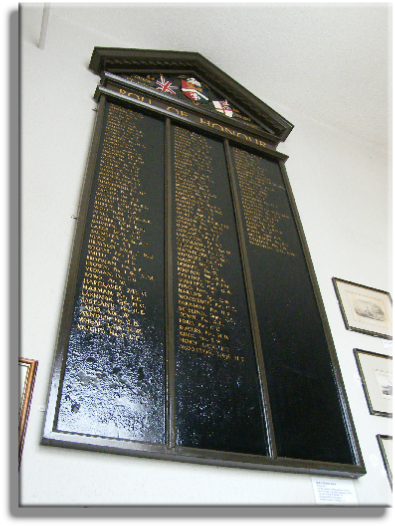 The original cost of both of these Roll of Honour boards was borne by the Mayor, Mr William Booth Reeve, who served as Mayor from 1913 until the end of the Great War. 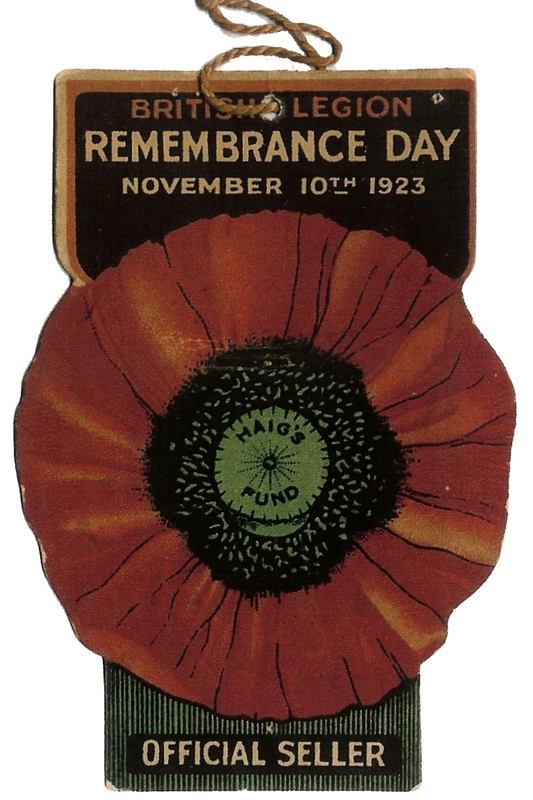 For services to the town throughout that war, he was awarded the OBE. 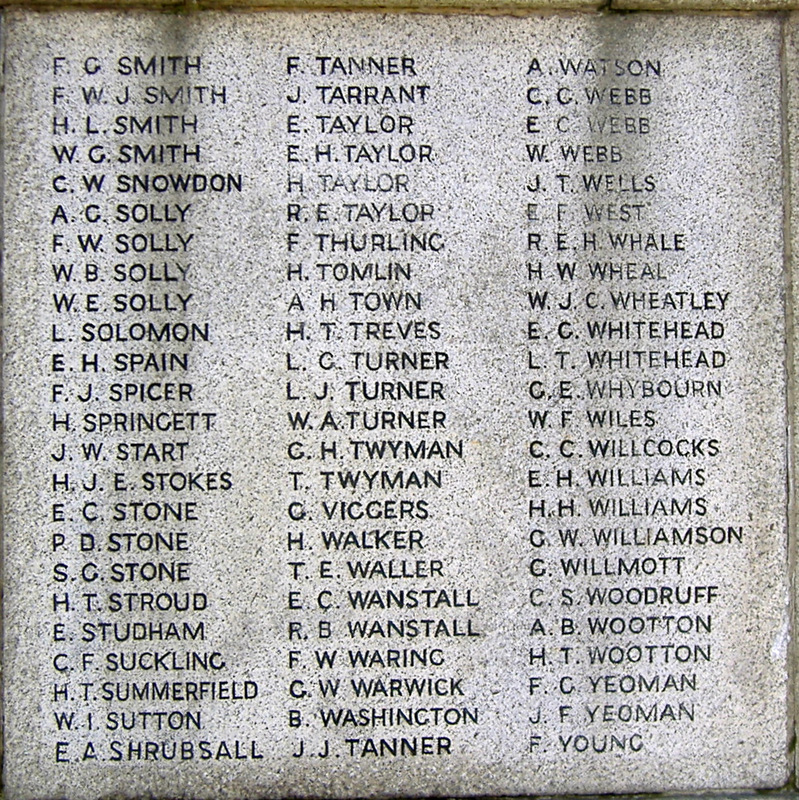 The second, three-panelled, Roll of Honour became necessary to accommodate the ever-growing list of names. On this occasion, the board proved to be larger than necessary. The design of the second board was identical to the original design of the first board. 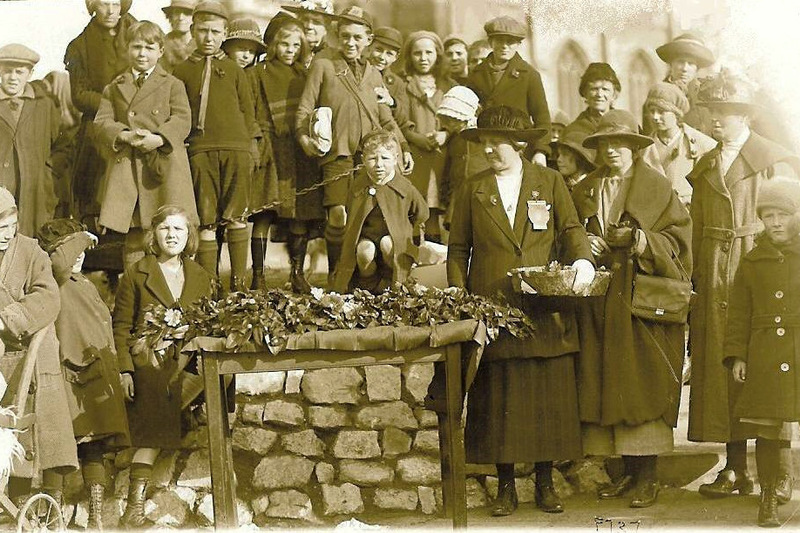 This charming photograph shows an official Poppy Seller at Margate War Memorial on Saturday 11th November 1922, just six days after the unveiling of the memorial. 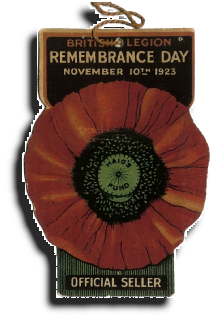 Note that the official Poppy Seller is wearing both a poppy and her official badge. 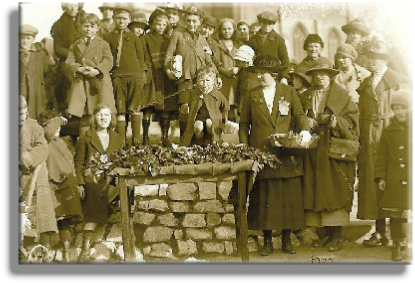 She appears to have laurel leaves in her basket and there are laurel leaves on the table. 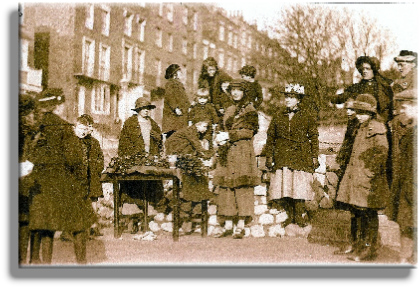 Note also the children’s faces and their clothing. 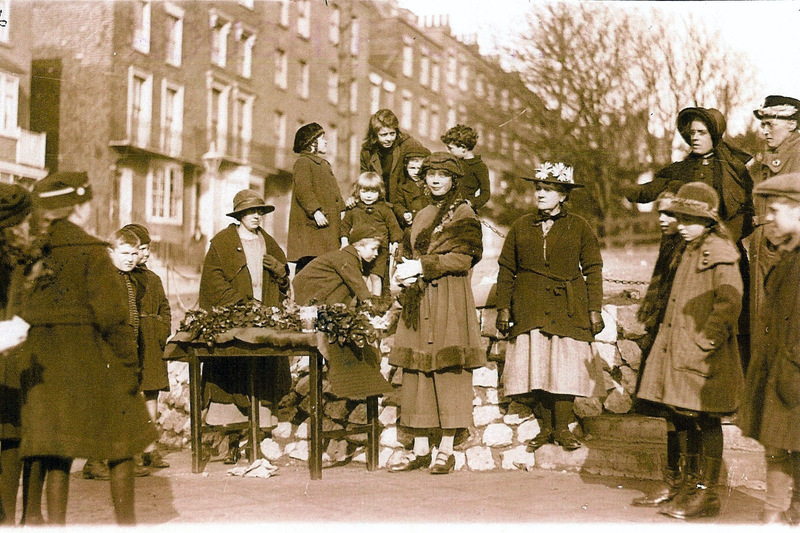 Another charming photograph of poppy sellers at Margate War Memorial on 11th November 1922. 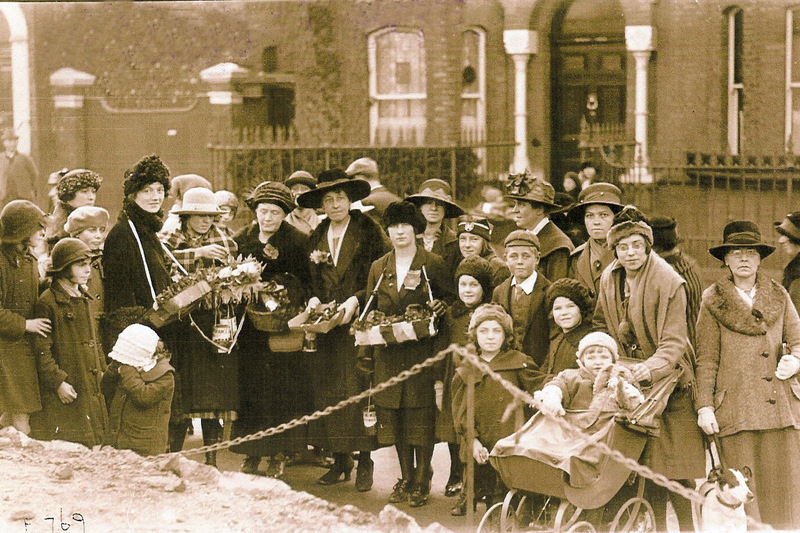 Another delightful photograph of the poppy sellers at Margate War Memorial on 11th November 1922. 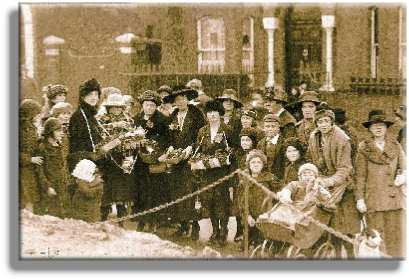 Note the Poppy Day collecting tin on the table marked ‘Remembrance Day’. 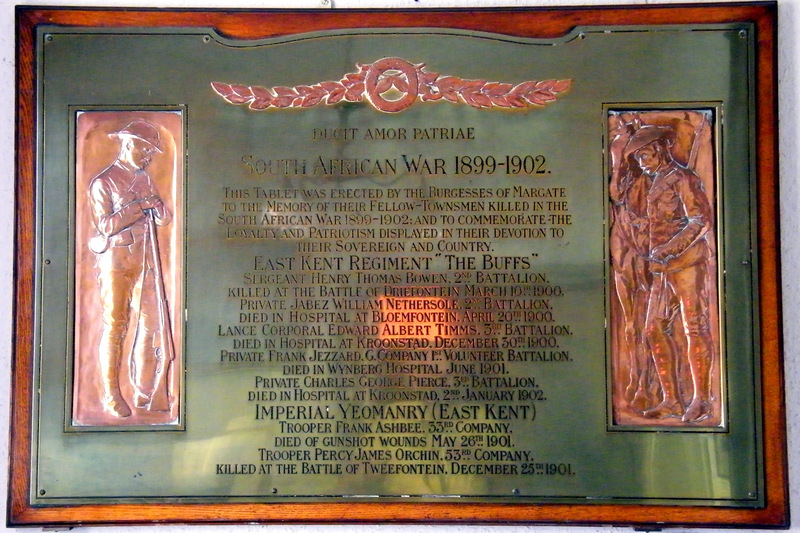 The Margate Boer War Memorial now in Margate Museum. 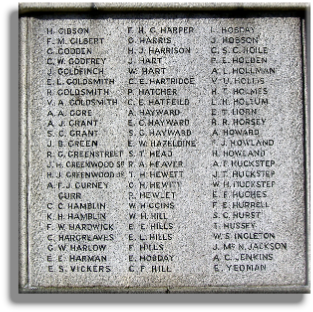 The copper repouseé on this largely forgotten war memorial was by Frederick Callcott, the sculptor of the Surfboat Memorial on Margate seafront.